Out gym offers personal training for whatever skill level you are at. From the beginner to the professional. Our personal training sessions usually last anywhere to 30-90 mins in length. We offer one-on-one sessions or they can also be performed in a group. All sessions are personalized to your specific goals. Personal training sessions are ideal for people looking to start a workout regimen but are not yet comfortable in a group setting. Kettlebell training is one of the most efficient workout techniques in the world. It combines both cardio and resistance training to burn massive amounts of calories in a fraction of the time. 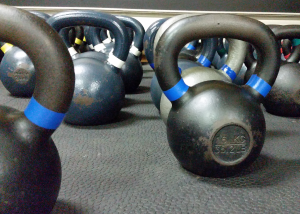 Kettlebells allow you to build muscle and burn fat at the same time. Our classes are taught in a fitness bootcamp style using: ropes, tires, hurdles, Bulgarian bags, weighted jump ropes, TRX Suspension Trainers. Each class is different! 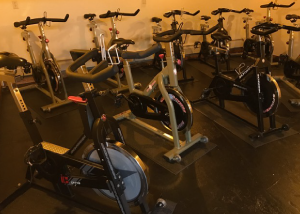 Spin classes will challenge your cardiovascular system with intervals, hill climbs, sprints, and other fun moves. Sound to intense? No worries, each bike has a variable resistance knob that you control. Everyone is able to get an effective workout that they individualize themselves using the instructor’s guidance. Fun workouts and great music make the class time fly by. Stop in and try a class today. See you there! Kettlebell Essentials teaches basic kettlebell techniques and safety procedures. Working with kettlebells can be awkward at first. You will learn the proper techniques to hold and move the kettlebell. 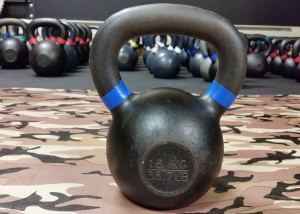 This class is required before attending the regular kettlebell classes. Please contact Brandon prior to attending. 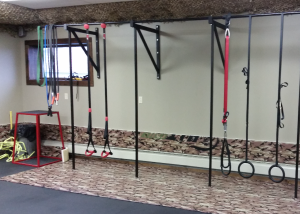 –Class fees will be credited toward regular Kettebell membership packages. We look forward to working with you.